A lot of factors can cause serious damage to our skin. Pollution, UV rays, and mental pressure are some of the causes that we are familiar with. These causes then imbalance the skin tone, produce too much oil beneath the skin, and leave black spots on face. Some people also have uneven skin tone due to UV rays in which the uncovered parts of skin, like the back of hands, neck, and face, get darker than the other parts of skin. This problem calls for solution. The best solution is to whiten the skin color using natural remedies. We can easily find skincare products to bleach skin color but it does not always give us the expectation because all those products contain chemicals that will leave our skin too light. So, instead of using skincare products, why do we not make skin whitening cream at home? There are some easy do-it-yourself tips on how to make skin whitening cream at home. These creams will not contain any chemical elements because we will use items that can be easily found in our kitchen. Honey can be used as a natural antiseptic that will prevent acnes. This sweet liquid is very good for those who have black spots from the acne marks. As for lemon, this full of vitamin C fruit can lighten your skin by reducing the production of melanin. To make the skin more radiant, it’s the milk’s job. Milk will reduce skin irritation and whiten uneven skin tone. We’ll use 1 tbsp of honey, lemon juice, and milk. Stir those three in a bowl until it becomes paste. Cleanse your skin before applying the paste. Then leave the paste for 20 minutes and rinse it with warm water. You can use this paste thrice a week before going to bed. Tomato can whiten the skin and make it glow. Tomato also acts as anti-aging for skin. 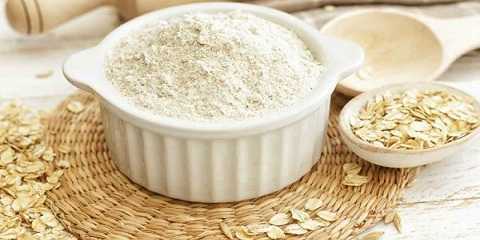 Our skin will get softened when we add oatmeal into the cream we are making. To make the whitening cream, we will need 1 tomato and 1 teaspoon of oatmeal and fresh unflavored yoghurt. We use the juice of the tomato so cut the vegetable and scoop the inside. Put the oatmeal, tomato juice, and yoghurt in a bowl and mix all together. We can apply this cream on our face or other parts of the body that have uneven skin tone. Make sure you have cleansed the skin before applying the cream. Let the cream dry on the skin for about 20 minutes, then rinse with warm water. This cream is suitable for any skin type. 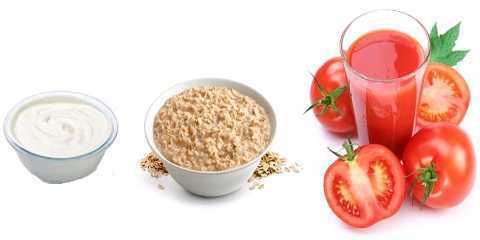 Apparently, tomato and oatmeal are not only good for whitening cream but also for diet. If you like eating orange, make us of the peels because it can help us whitening our skin. The preparation for this cream is longer than the abovementioned creams. First, dry the peels for two or three days so it becomes nearly crisp. Grind the crisp peels to make powder out of it. Take a tablespoon of the peels powder and add yoghurt into it. Stir these two until it becomes paste. After cleansing the skin, put the peels-yoghurt paste and keep it for 20 minutes. It is best for any skin type. Pumpkin has vitamin A and C, also antioxidant and beta-carotene which are good for skin treatment. The ingredients are pumpkin, honey and milk. Take a slice of pumpkin, boil it and put it into blender. We will need two teaspoon of pumpkin puree to mix it with half a teaspoon of honey and milk. Stir all the ingredients to make perfect cream. The pumpkin whitening skin cream is ready to use on the skin. It is good for any skin type and it can be used twice or thrice a week to get the best result.